The ultimate Serato DJ control with 2x USB ports! Makes me wonder if they're going to eventually implement them on their flagship mixers.. I can't find any confirmation.... Will this beast actually accept TIMECODE?!!! Suggested price of $2000... probably street price around $1699-1799. Estimated release in March 2014. Time for me to build a road case in anticipation for this piece of kit! Last edited by JamminDownJD; 01-22-2014 at 03:54 AM. The DVS limitation is always a SOFTWARE issue, not a hardware one. Serato finally seems willing to allow their DJ app (called DJ) to support DVS from a controller, like the Kontrol S4. 1. Is this the controller that obsoletes CDJs moving forward? 2. Is this controller too big for most (like the NS7)? This is the closest we'll see Pioneer making an all-in bet. Last edited by KLH; 01-22-2014 at 07:58 AM. Saw this earlier this morning and think it's a great step in the controller direction for the guys that don't want to use controllers that still use TTs and CDJs/DJMs.. I think what will nail it on the head for me is if they take out a version with a screen so we don't have to rely on a laptop. Then i will be sold..
You think that this is what people want? A computerless "controller"? AFAIK, there's the controller/computer combo and the CDJ-and/or-TT/mixer combo. The two already offer practically the same experience. Other than bigger motorized platters, I don't see how controllers themselves can really improve. Barring someone like Denon coming out with something similar, THIS will be the club industry standard controller. This does everything that a bar to mid sized club would need it to do. The only thing its missing is Rekordbox compatibility (which is probably something Serato insisted they not include). It can support two DJs on different laptops. While they didn't explicitly say it, it sounds like it can run both Serato and Traktor at the same time on the two different soundcards. It also supports DVS in Serato DJ. So you can have this mixer/controller with a pair of CDJs and/or a pair of Turntables and run Serato, Traktor or VDJ two at a time. At a price equal to a single CDJ-2000Nexus. Anyone who knows me knows that I am far from a Pioneer fan, but this is the controller nightclubs have been waiting for. I don't really know if it's what people want. 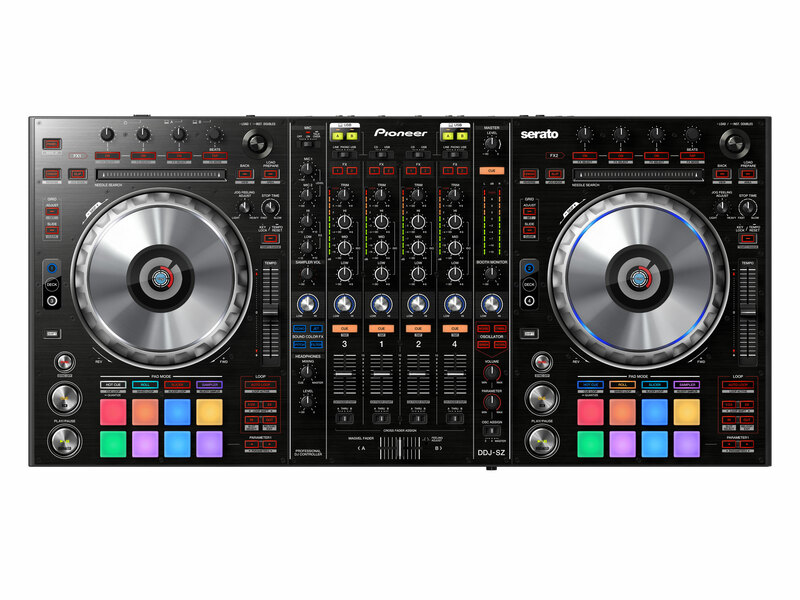 But it's the only thing i think that would shift me from my current CDJ/TT/Mixer combo but i would probably move onto this. But also adding a screen even if it's a small one like some of their current controllers will always cost more, and add more size and bulk to it and make it unpractical. But that's a personal choice and if it happens, it happens. If it doesn't this would be my option. It's a great looking controller and got everything you could want, jog adjust, pads, CDJ jog wheen, touch strip etc etc. But i'm the sort of guy that doesn't want to have to rely on a computer yet. The day will come though.